I think I first heard of Teeling's Vintage Reserve collection at Bloom last year. The 21-year old Silver Reserve was on the way, to be followed, Jack Teeling told me, by the Gold and Platinum Reserves. I recall it because that is when I learned, to my surprise, that platinum is a more valuable metal than gold. 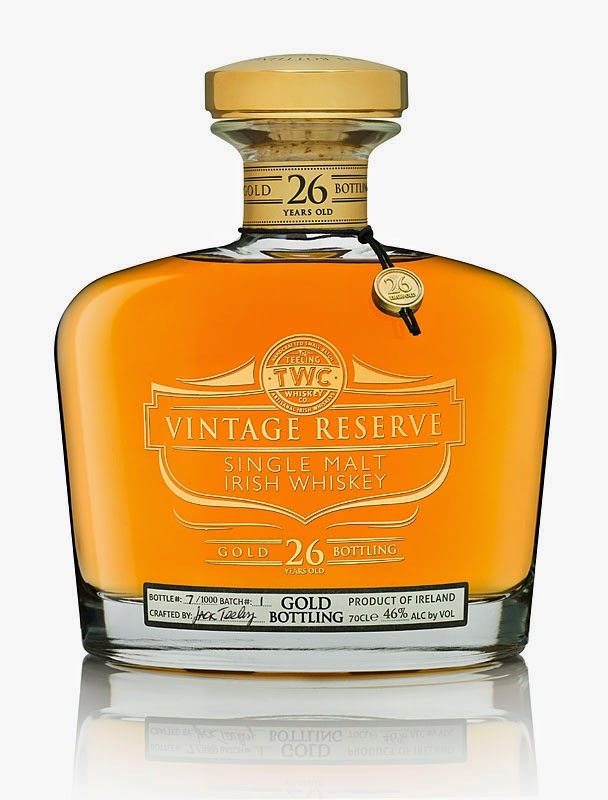 Teeling, more au fait with the metal markets than I, have dubbed their new 26-year old single malt "Gold Reserve" and their 30-year old, top-of-the-range whiskey, "Platinum Reserve". The 30yo will set you back about an ounce-and-a-half of platinum, or €1,500 (wow! ); the 26yo will lighten your purse by a mere half-ounce of gold, or €475. 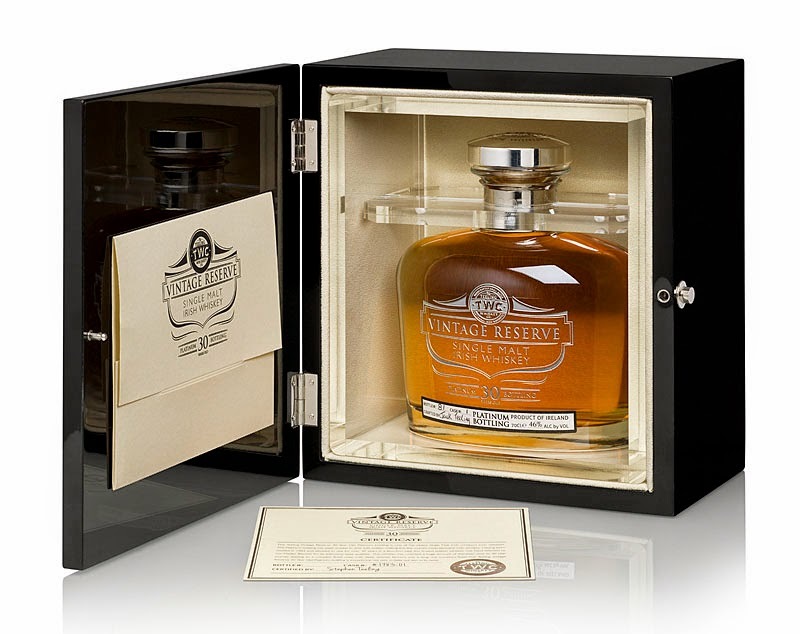 The Gold Reserve is 26-year old single malt, doubled distilled in 1987 and matured for the most part in bourbon casks. Alex Chasko, TWC's master blender and distiller, says that the whiskey hadn't quite gelled so he moved it for the final 15 months to white Burgundy casks, a wood choice hitherto untested on Irish whiskey, never mind on such old and rare spirit. It was a brave move but it worked. I've tried this whiskey a couple of times and it's a stunner. For what it's worth, in my opinion, this is one of the best Irish whiskeys you can walk into a shop and lay your hands on today, at any price. It is limited to 1,000 bottles, at 46% ABV. The new whiskeys are available initially only in Ireland at Dublin airport and the Celtic Whiskey Shop but they will eventually find their way to select international markets and travel retailers.